Availability: Currently unavailable. Please check back later, or click the button below to be notified when back in stock. User configurable for a number of inputs and outputs. Ideal for small desktop video editing systems. 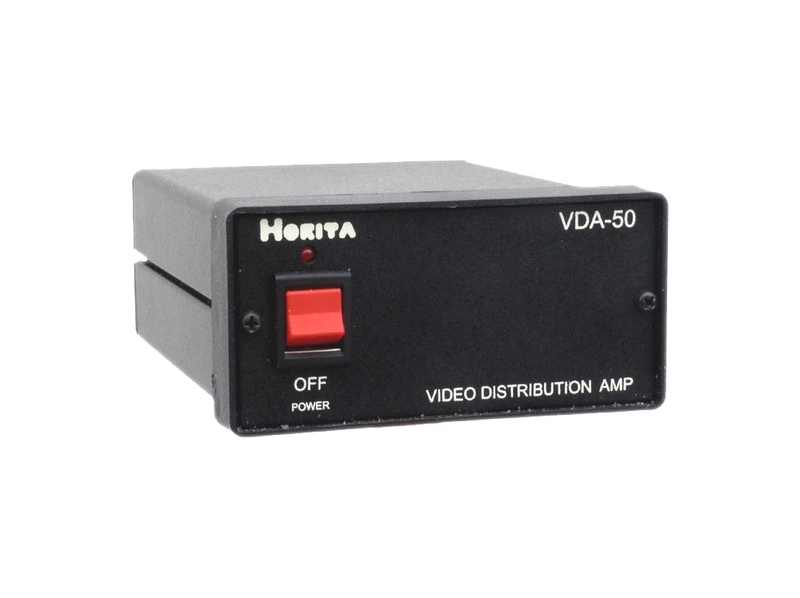 Desktop version VDA-50 configurable as dual 1x2, 1x3 DA, or as single 1x6. 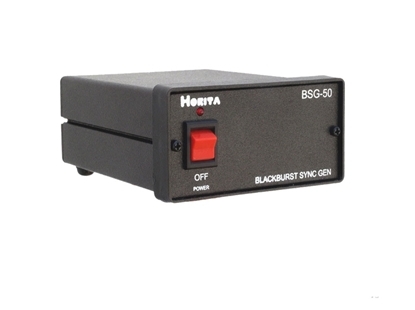 Includes looping video input with switchable 75-ohm terminator. Rackmount version RM-50/VDA configurable as a triple 1x2 DA, dual 1x4, 1x3 DA or 1x5, 1x2 DA, or single 1x8 DA. 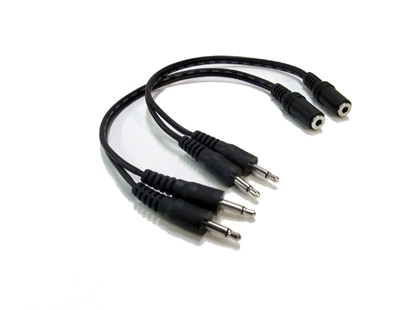 Includes looping video input with switchable 75-ohm terminator. 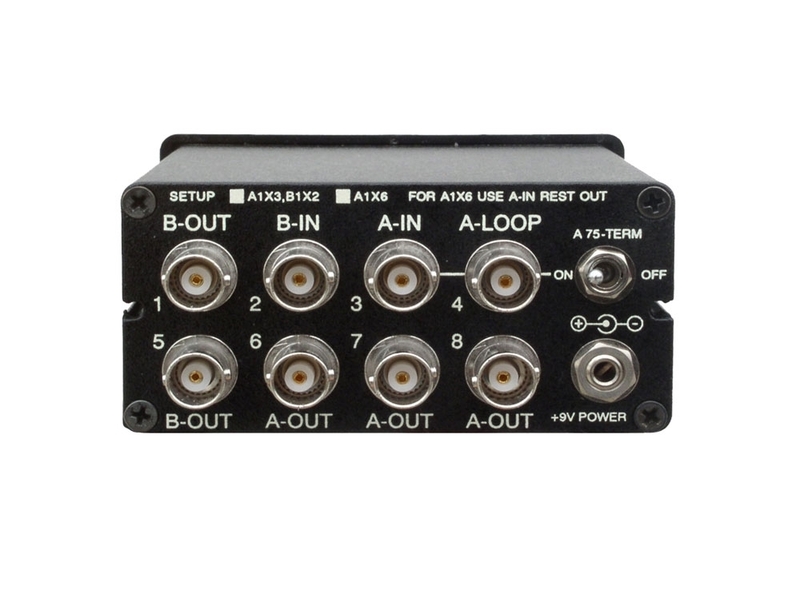 Looping input permits multiple VDA units to be easily connected for expansion or to pass the input video signal on to other pieces of equipment. 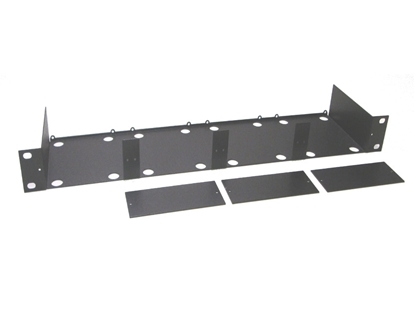 Single HORITA RM-50 Rackmount panel can hold up to three VDAs which can be looped together to form a single 1x24 VDA for video duplication purposes. Wide bandwidth of over 80 MHz, differential phase .08%. Separate Level and EQ screwdriver adjustments provided for each DA section permit amplitude and frequency compensation for driving up to 500 feet of RG-59U coaxial cable.